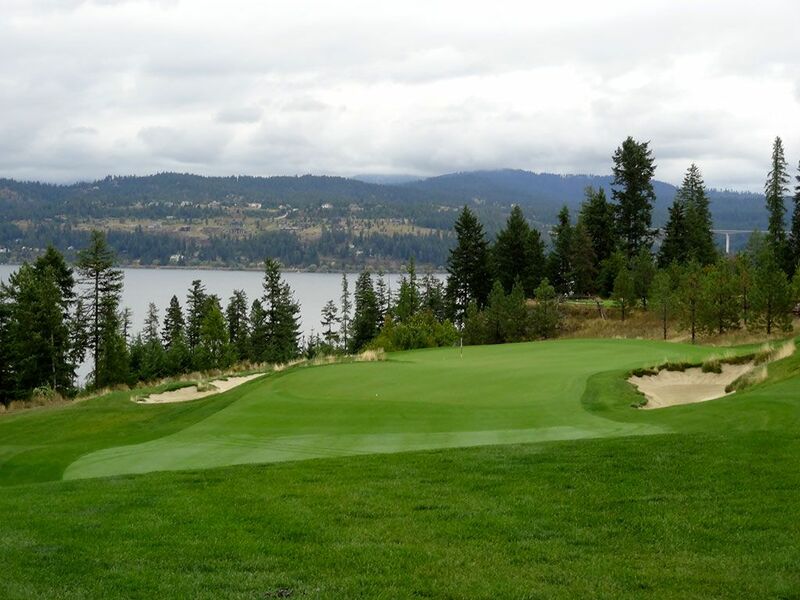 Course Website: Official Website - Visit Gozzer Ranch Golf and Lake Club's official website by clicking on the link provided. 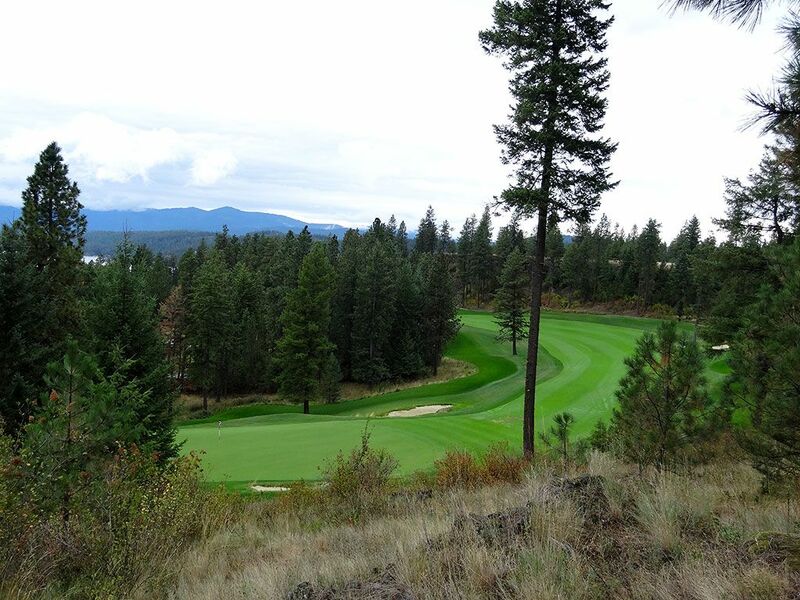 Accolades: Ranked 1st in Idaho on Golf Course Gurus' Best in State list. 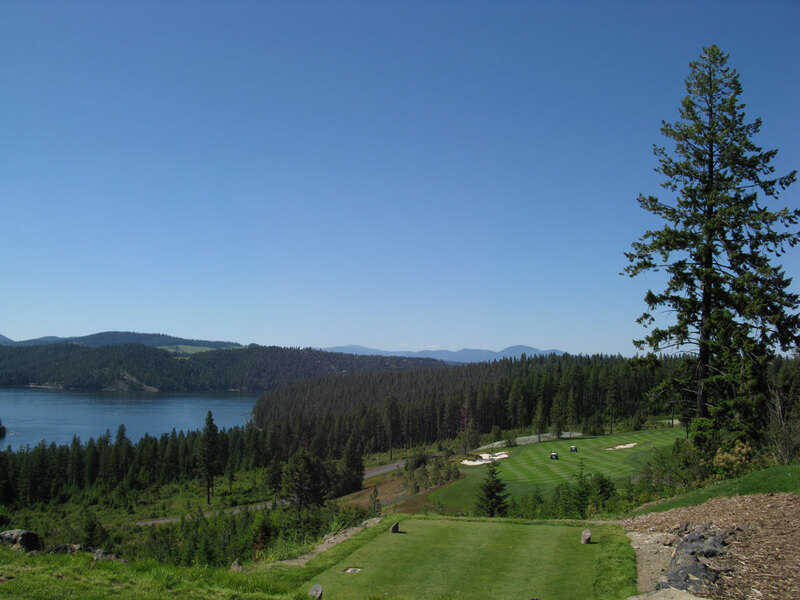 What to Expect: Gozzer Ranch is a spectacular course that is carved through the Northern Idaho pine trees and giant basalt rock formations while affording some breath-taking views of Lake Coeur d'Alene. 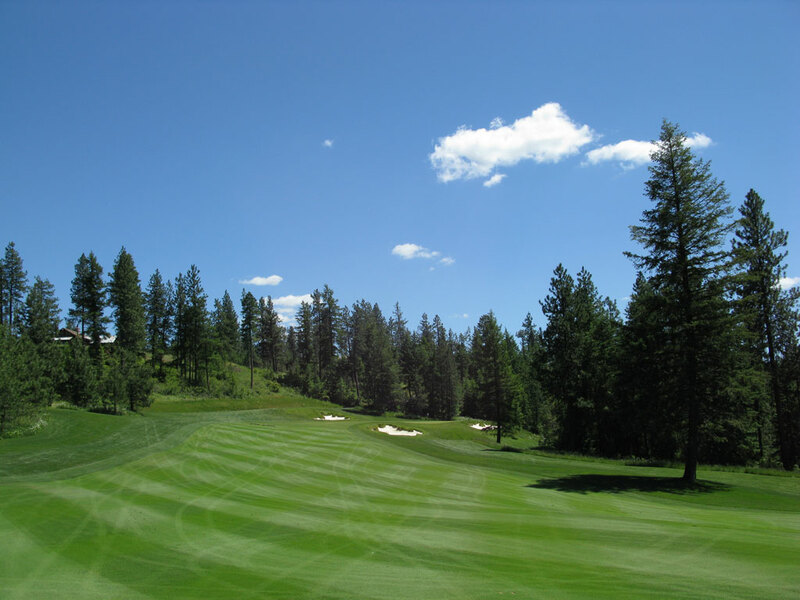 The course is the first 18 hole layout in Idaho designed by famed architect Tom Fazio and features his popular jagged edged bunkers and immaculate conditioning. As a final note, the course is owned and operated by Discovery Land which has a signature feature of including two lavish "comfort stations" where a variety of snacks are provided as well as a on-course grill where hot food is prepared by a chef. Gozzer Ranch's 50's themed comfort stations feature the traditional jerky, drinks, apples, etc. found at all Discovery Land comfort stations, but it also included one feature I never thought I would see on a golf course; soft serve ice cream with root beer on tap so that you can make a float and take it with you during your round. Welcome to the experience that is Gozzer Ranch! 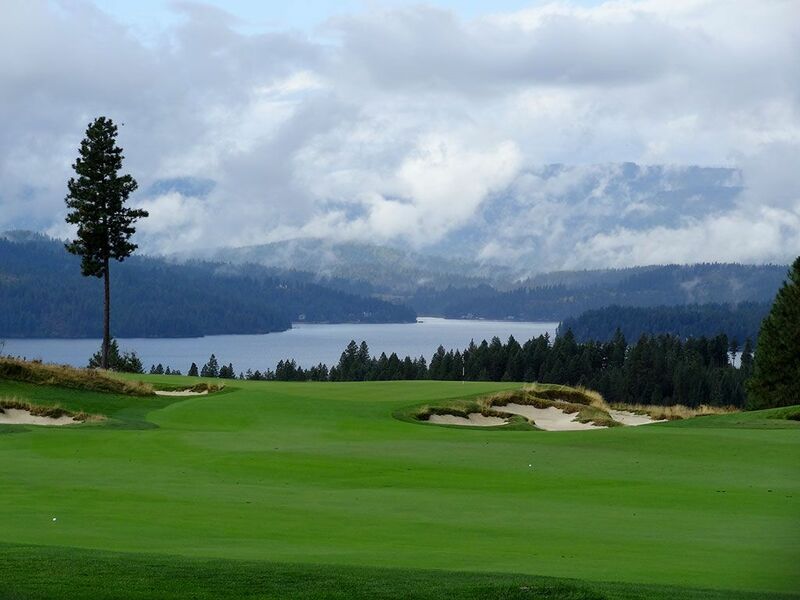 Signature Hole: 15th Hole – 431 Yard Par 4 – National Geographic named Lake Coeur d'Alene as one of the top five most beautiful lakes in the world. 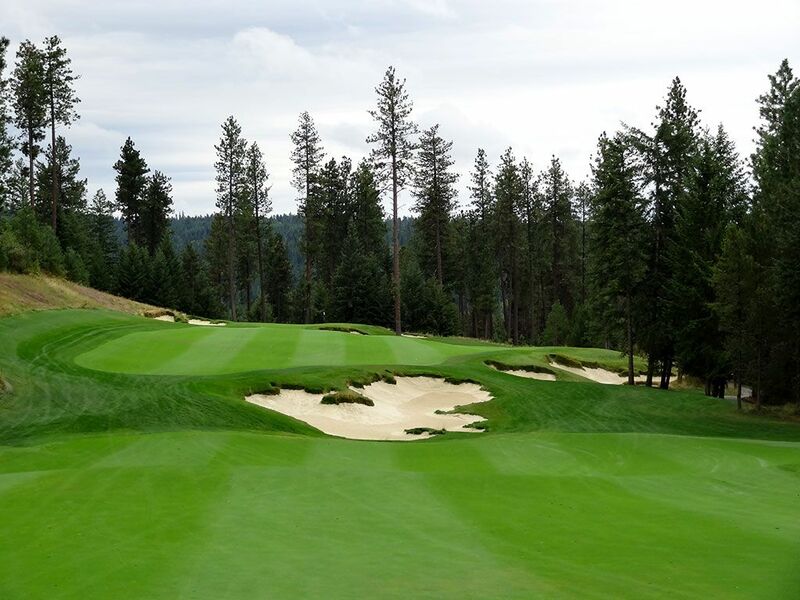 Therefore, when Mother Nature has planted that gorgeous of a backdrop to work with it becomes critical to spotlight it throughout the design of a golf course. Tom Fazio did several times throughout the round but none more dramatic that at the 15th green where panoramic views of the lake and surrounding property are afforded. Those with a sharp eye will recogonize this hole as Andrew Magee's backdrop this past summer while participating in the Golf Channel's "The Approach" TV show. 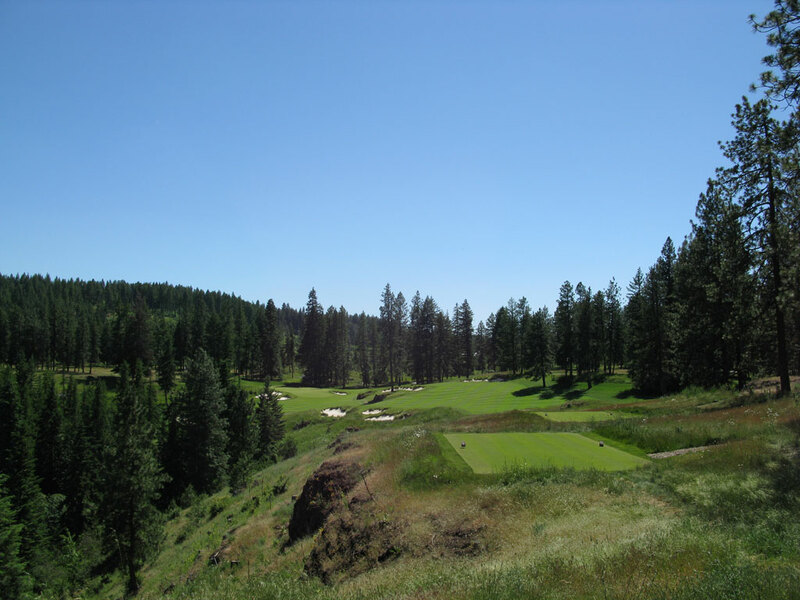 Best Par 3: 3rd Hole – 196 Yards – The 3rd hole at Gozzer Ranch hosts a couple of features I really enjoy seeing in a par three; a dramatic downhill drop and beautiful natural features and/or surroundings. Downhill tee shots are always enjoyable because you get to see your golf ball soar for an extended period of time and the anticipation of where it will finish is heightened. The natural surroundings and features of this hole though is what makes it really shine. 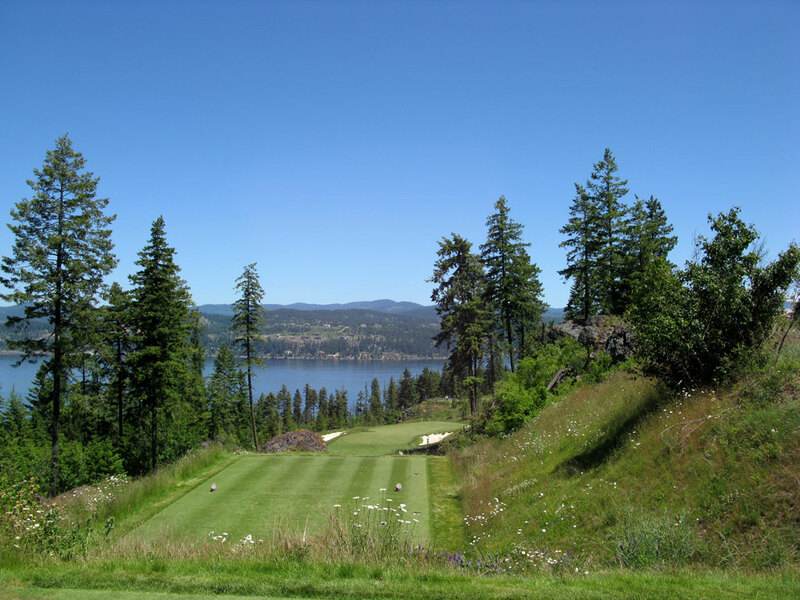 The green sits with a large basalt rock formation on the right and a cliff edge leading down to Lake Coeur d'Alene on the left. 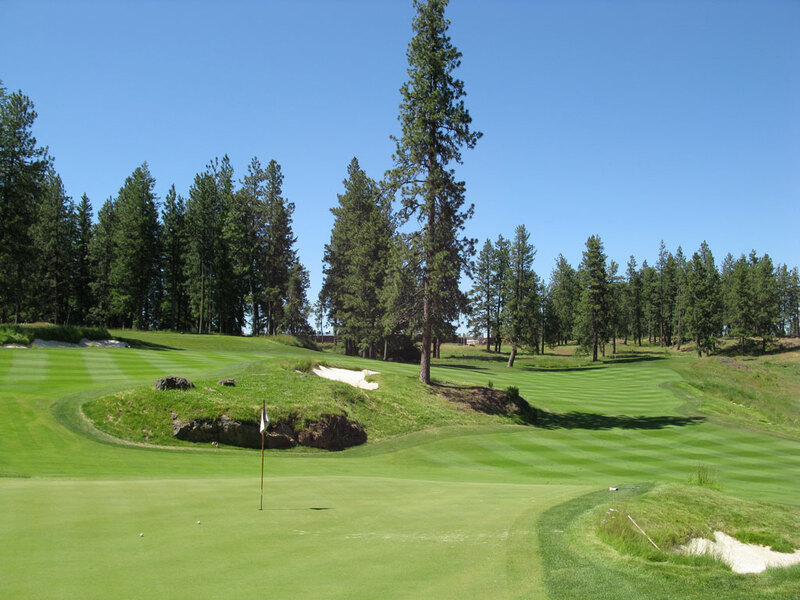 Four bunkers are cut in around the green and several mature pine trees frame the spectacular view out to the green and beyond. It is a stunning beautiful hole and the highlight of Gozzer Ranch's par threes. 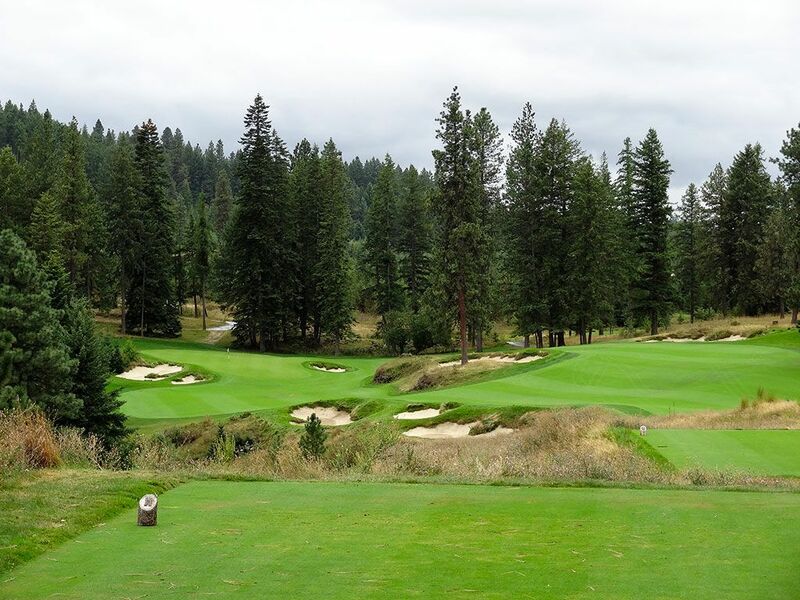 Best Par 4: 12th Hole – 364 Yards – The 12th hole is my favorite hole at Gozzer Ranch due to the options posed and potential situations to play from. 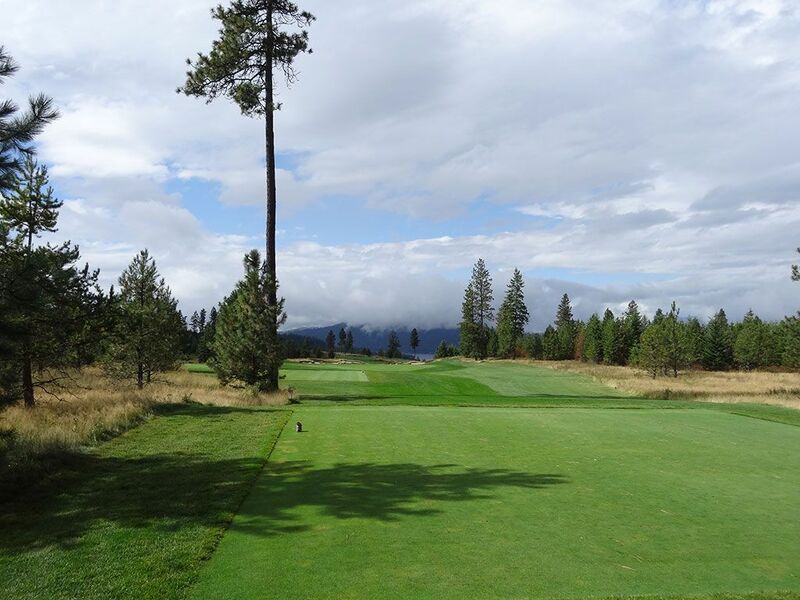 The fairway is split about 270 yards from the tee by a wide trouble area that includes basalt rock, a sand bunker, gnarly grass, and a single towering pine tree. By heading toward the upper fairway on the right you must split a pair of bunkers before the fairway dives down and to the left toward the green with a small pot bunker as the putting surface's only protection. 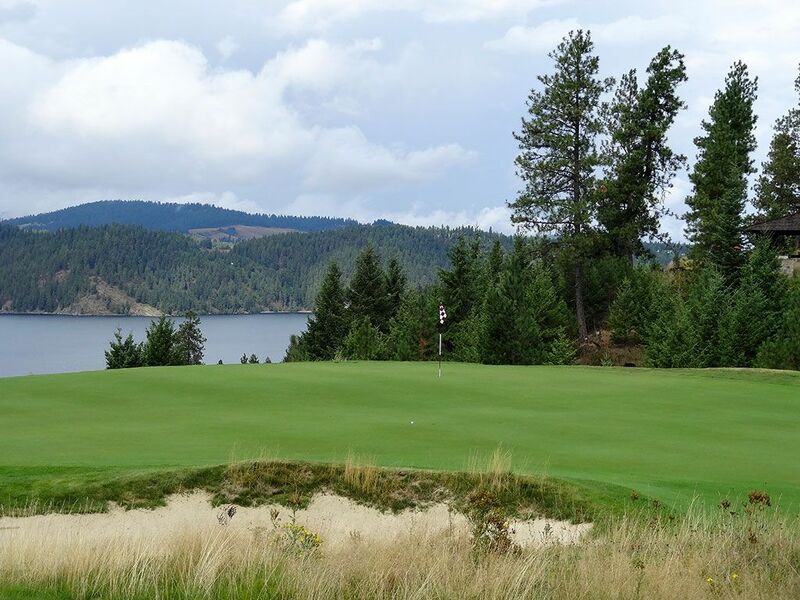 It is an exciting option and opportunity to reach the green and have an eagle putt. By playing down the lower side left fairway you bring a large ravine into play where a ball travelling too far left will find a permanent grave at the bottom of a rocky tree covered cliff. But if you can fly the ball 270 yards you can carry the three bunkers resting in the left rough and find the largest landing area on the hole. From there you are faced with a slightly uphill approach over to bunkers to a green that slopes out and away from the upper left hand corner. 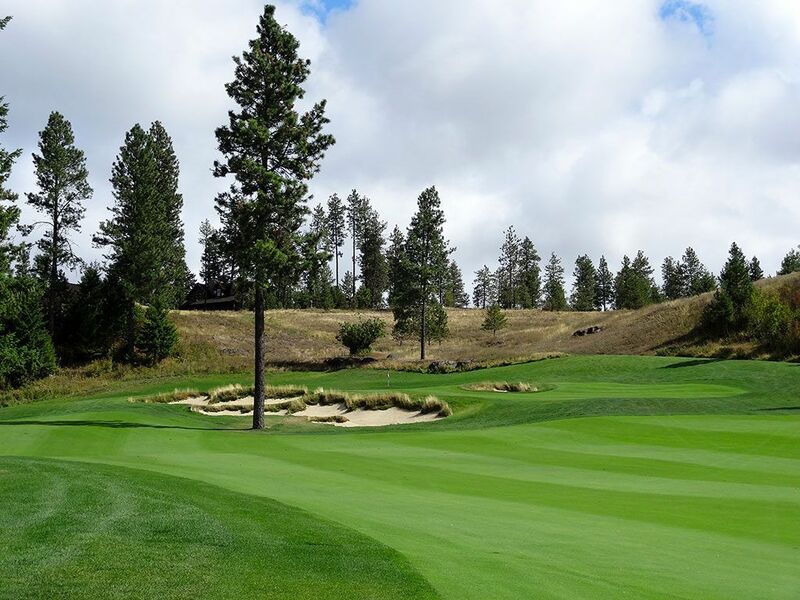 It is a fantastic hole where you can end up playing out of a bunker, playing from the top of basalt rock, or potentially put it right on the green and make a run at eagle. 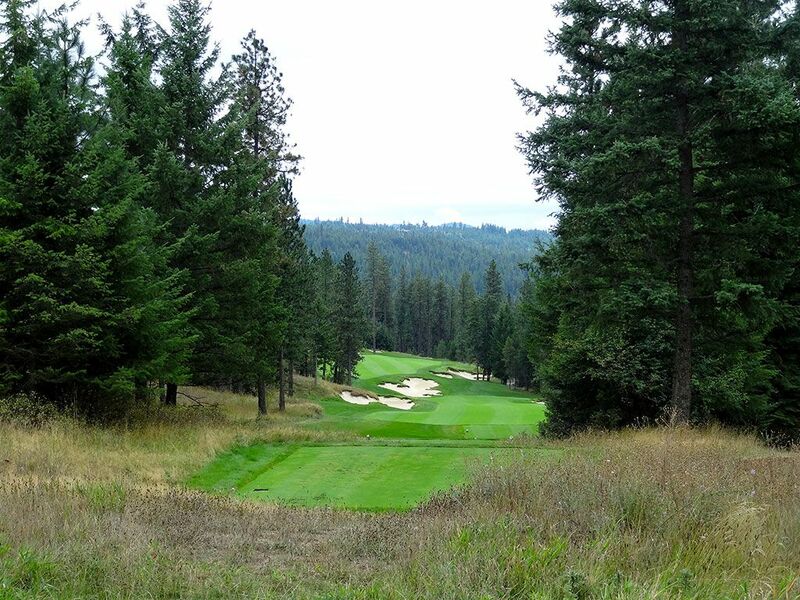 Best Par 5: 8th Hole – 605 Yards – When you step onto the 8th tee box at Gozzer Ranch you are instantly intimidated by the small air space offered between the trees that you need to thread your ball through in order to find the green. Between the trees is a view of a bunker on the left side of the fairway that takes 285 yards to carry and a central fairway bunker that is over 400 yards away. There is more room to the right than is viewable from the tee and it will take two big hits to reach this green in two since the hole first travels downhill and then climbs back uphill as the fairway climbs toward the green. There are eight bunker in total to avoid while playing this hole which is more than the entire collection of sand traps on my home course. Birdie Time: 16th Hole – 501 Yard Par 5 – It is rare that Tom Fazio relaxes enough to give golfers this easy of an opportunity to score birdie. The 16th hole measures 501 yards and plays severely downhill which makes it very reachable in two. In fact, this hole is shorter than the flat Fazio designed par four found at Carlton Woods in Houston and that is at sea level! If you can avoid the bunker resting about 300 yards away in the middle of the fairway with your tee shot then you are well on your way to posting a birdie on this hole. The approach shot is a fair amount uphill over three bunkers protecting the front of the green the slopes fairly hard from back to front. With a generous backstop behind the green it is easy to conclude that being long is better than short since those shots will likely kick back onto the green anyway. The day our foursome played it three out of four of us walked away with birdie as we all had mid-irons going into the green in two. Bogey Beware: 9th Hole – 461 Yard Par 4 – One of the most difficult rated courses in the country is Castle Pines in Castle Rock, CO (77.4/155). When I stepped onto the 9th hole tee at Gozzer Ranch I instantly felt like I was playing at Castle Pines again. The setting is similar with the holes cut through trees and several elevation changes throughout the course, but the shape and length of this hole could be placed into the front nine at Castle Pines and even some of the members would never know the difference. 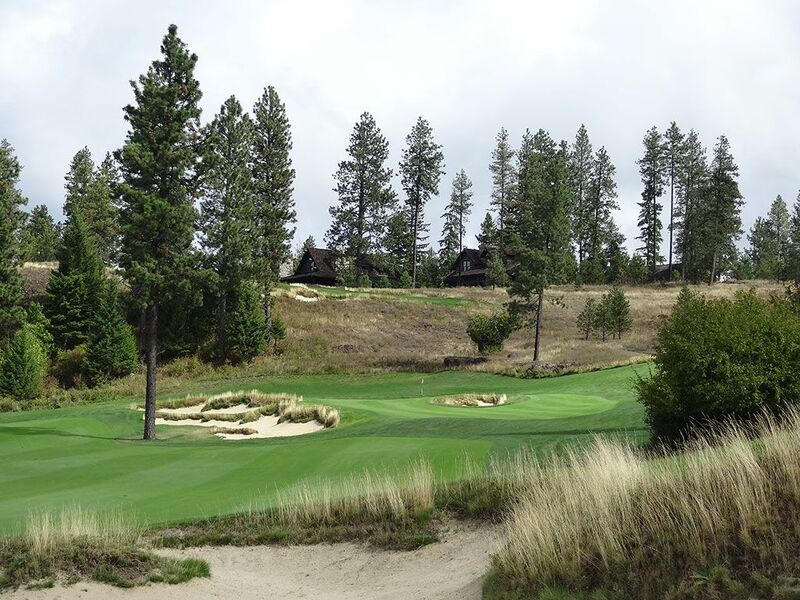 The 9th hole is a 461 yard dogleg right that forces you to play up the left side and not get blocked by the large pine protecting the dogleg. From there you are faced with a distant uphill approach to a green that is protected by a single bunker on the uphill side and a pair of larger bunkers on the downhill side. With oodles of trouble left and right off the tee, precision needed with the driver, and a difficult uphill approach shot to a challenging green site add up to the toughest test Gozzer Ranch will throw at you.